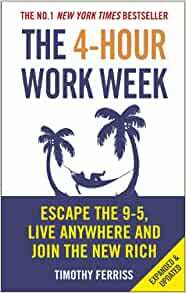 Start reading The 4-Hour Work Week on your Kindle in under a minute. 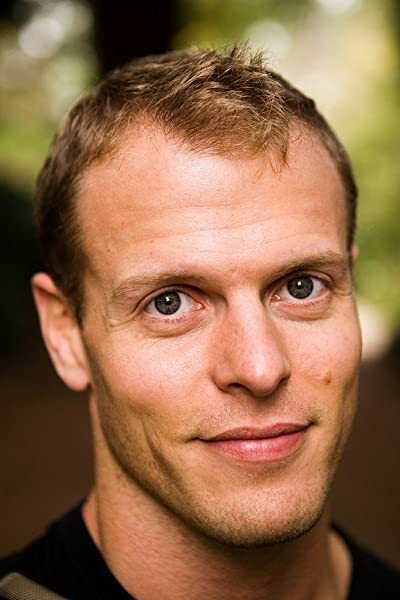 Tim Ferriss has been listed as one of Fast Company’s “Most Innovative Business People” and as a Forbes ”Names You Need to Know,” and is the seventh ”most powerful” personality on Newsweek’s Digital 100 Power Index. He is an early-stage tech investor and advisor, working with Uber, Facebook, Twitter, Alibaba, and over fifty other organizations, and the author of three #1 New York Times and Wall Street Journal bestsellers: The 4-Hour Workweek,The 4-Hour Body, and The 4-Hour Chef. His podcast, The Tim Ferriss Show, was one of iTunes’s “Best of 2015,” typically among the top 30 out of more than 300,000 podcasts. 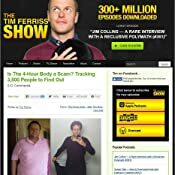 Tim has been called “the Oprah of audio” due to the sales impact of the podcast, and past guests include Jamie Foxx, General Stanley McChrystal, Arnold Schwarzenegger, Edward Norton, and more than a hundred others. I'll never get that time back! I got so bored reading it I started skimming....nothing worth reading. Could be a wakeup call for some but I personally didn't learn anything new from this book but I'd recommend it if you have no idea where to start and how to escape. Don't think it will just be a revelation, more of a trigger, something to motivate and inspire you. Spoler: A LOT of hard work ahead! 2.0 out of 5 starsToo subjective and totally unrealistic! Mind opening book as to what the future could hold. However at times there is a consistent stream of hyperlinks to external websites that smell of them being paid links. This book is a nice guide if you are a traveller. But If you are a very family oriented person then it may not be the best book to read, however, you'll still pick up a few good ideas that may come handy. 4.0 out of 5 starsGood read but..
Good read but how one can make it to reality is a totally different matter! 4.0 out of 5 starsYou can do it too! Another 'Do it now' type book. Read lots of these over the years and they all have a similar 'modus operandi' if you read between the lines. This one is slightly different in it's approach, and as a tool to motivate you to get off your backside and DO something, it's got it all there. I like to take snippets of stuff from all of these kind of books and wrap them into my own personal motivational ideas. 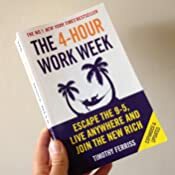 I discovered Tim Ferris from his podcasts few years ago. His interview/conversation style and the content he covers whether in the company of a guest or on his own is generally valuable. I regularly follow these podcasts and listen with attention and interest and have come to respect Tim's contribution to this important medium (podcasts). 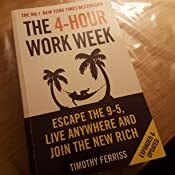 Having purchased and attempted to read two of Tim's writings (note: deliberate avoidance of the word 'books' on my part) it's hard to understand how can Tim Ferriss an intelligent, articulate, enquisitive podcaster pen such poor writings. 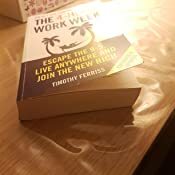 I first attempted Tools of Titan and found it poor and thought perhaps his good writing might have been his earlier work so recently acquired 4-Hour Work Week; unfortunately not so, that attempt on writing by Tim was just as bad. Podcasts and writing are different mediums; and while Tim does good job of former he does bad job of the latter; but there comes the business model that Tim and many like him, particularly in USA, have adopted; self-publishing has made it easy to churn out words on paper and get it out and then put "published author" next to your name; which in Tim's case I find particularly curious since his podcasts don't suggest he's in anyway that stupid of a man.